The statement by the military spokesman came in the backdrop of the White House's announcement that the US would announce specific measures against Pakistan in the next 24 to 48 hours. Amidst reports that the Trump administration is set to announce more drastic steps to punish Islamabad for its support to terror groups, the Pakistan Army has said the country would respond to any US action in line with the aspirations of the people. The statement by the military spokesman came in the backdrop of the White House's announcement that the US would announce specific measures against Pakistan in the next 24 to 48 hours after President Donald Trump's stinging New Year tweet. The US yesterday announced that it is withholding its USD 255 million military aid to Pakistan. 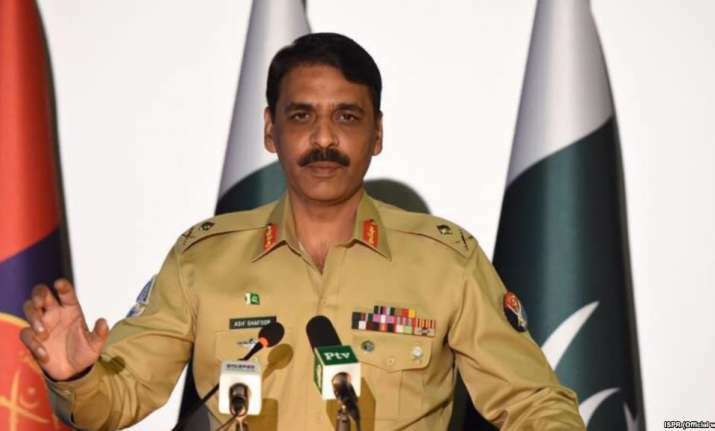 "In case of [a] US action against Pakistan, it will be responded to [in line with] the aspirations of the people of Pakistan," the Inter-Services Public Relations (ISPR) Director General Major General Asif Ghafoor said in a brief statement. In a terse Twitter post on January 1, President Trump had accused Pakistan of "lying and deceit" and providing safe havens to terrorists despite getting over USD 33 billion in aid over 15 years. After Trump's statement, Pakistan had called a meeting of the National Security Committee (NSC) on Tuesday which expressed "disappointment" over the statement, but said the country would not act in haste. It is not clear whether the Pakistan Army issued the statement in anticipation of some possible unilateral action against Pakistan, The Express Tribune reported. Responding to the US allegations, Maj Gen Ghafoor, the military's media wing chief, said Pakistan had taken action against the dreaded Haqqani network. "Effects of action against the Haqqani network will be visible in due time," he said. Speaking to a private news channel, he said Pakistani nation's collective response to the Trump's tweet was a positive sign. He noted that Pakistan and the US were still allies, and the relationship between the two countries had gone through ups and downs. "We are allies and a war cannot be fought with allies," he said. "There are several occasions where Pakistan has sided with the US. At one time Pakistan had the option to become the ally of Russia but it opted to join hands with the US instead." 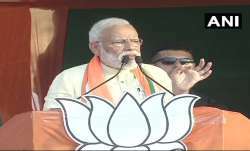 However, he said, in case the US took action against Pakistan, it would be responded to in accordance with the aspirations of the Pakistani people. "The Coalition Support Fund (CSF) was meant for the war in Afghanistan. Pakistan and the United States are allies and they need to work together," he added. The US has been accusing Pakistan of supporting the Afghan Taliban and the Haqqani network, who are attacking American forces in the war-torn country. Pakistan has always dismissed the allegations.